Bellary (Ballari), a historic city, gets its name from ‘Balari’, which is a name for Goddess Durga. There is another legends and folklore that suggest that the name was derived from Indra when he slew a demon Balla. Bellary also gets its mention during the rule of dynasties like Satavahanas, Kadambas, Kalachuryas and Hoysalas. The city with its headquarters is mainly spread around two granite hills. 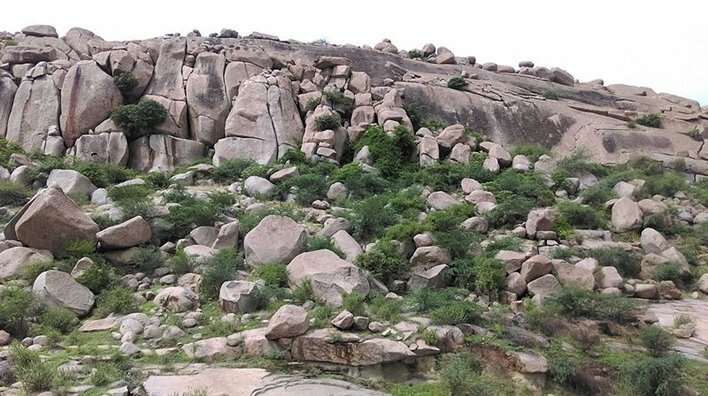 The hills are called Ballari Gudda or Fort Hill and Kumbara Gudda or Face Hill. The former is the second largest monolithic hill in the world. Apart from a rich history, the place also has rich mineral resources that include both metallic and non-metallic. Bellary is known for its rich history and strong connection with Hindu mythology. The place includes a number of temples and some buildings that make it a huge attraction for history lovers. Bellary Fort is a historical site with more than 3000 years of history. It was constructed at the time of Vijayanagar Empire by Hanumappa Nayaka. The fort was captured by Hyder Ali back in 1769 and was then remodelled by a French engineer. The fort is situated at the Ballari Gudda hilltop. One of the major reasons for its attraction is the fort being built on a monolithic rock. The fort is divided into Upper and Lower fort. It is a polygonal fort with only one entrance. There is a citadel of 1976 ft. and includes structures like pools, cisterns, temple and cells. The tunnel is believed to have link to the cities of Sriragapatna and Mysore. The top can be reached with a single rocky way. A number of buildings have been constructed during the period of British rule in Bellary. While some have undergone modifications, these are mostly in their original style of architecture. St. John’s School, Bellary Central Jail, St. Philomena’s School Complex and St. Joseph’s School are some of these buildings. This graveyard is actually a memorial to the Turkish soldiers. There is a small garden, near to the airstrip where the martyrs were buried. They were brought in the country during the First World War by the British. The entrance of this graveyard has an epitaph that explains the whole story about these soldiers. There is a tomb separately constructed, belonging to Agha Basha who belonged to the royal family of Turkey. The tomb has an inscription stating about him in Arabic-Persian. Kumaraswamy temple is one of the oldest in our country and is around 1000 years old. The temple is located at south-west part (a corner) and has connection to Sandur. It has a huge complex that houses the temples of Kumaraswamy and Parvati. The Chalukyas are credited with the foundation of this temple and it was discovered by the Ghorpades, a local ruling family. This was back in the 15th century when and in the woods of Swamimalai Hill. Peacocks are one of the common birds spotted here. It is said that the mountain has formed due to volcanic eruptions and has rich mineral deposits. The park is officially called Dr. Rajkumar Park or also Golden Jubilee Park. Once a slum area, the place has been beautifully transformed into a park for tourists as well as for the local people. There was a granite-excavating place that has been now turned into an artificial water body to add to the aesthetic value of the place. Musical performances take place close to a fountain. There are play areas for children and also a garden. Kuntegadda Park and Kaategudda Park are known for the lush green surroundings and birds that flock to the place. A must see for nature lovers. There are other places like Basavanakunta Park, Gavisiddheshwara Temple, Shirekola village and Tungabhadra Dam. 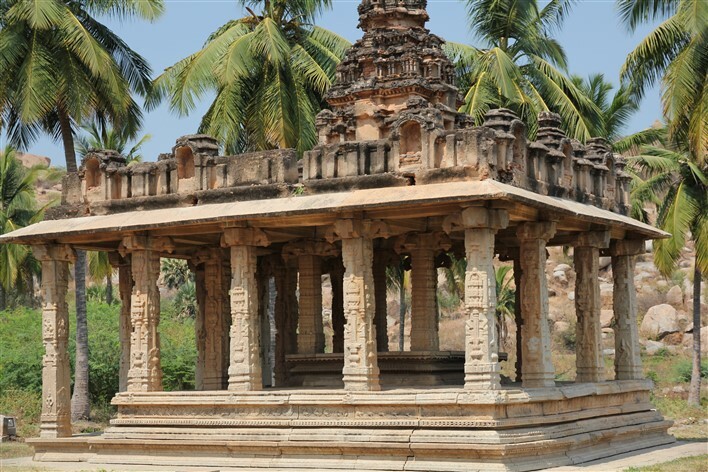 Hampi is located close to Bellary and is famous for a number of archaeological sites. Several tourists visit here every year for sightseeing, research or study. While the state has various links to reach Bellary, air routes are more convenient. One can reach either through a direct route or change routes more than once to reach the place from different parts of Karnataka. The nearest airport to Bellary is Hubli, only 193 km away. The distance from Bellary to Bangalore by air is 251 km. There are direct flights. The aerial distance from Mysore is 319 km. Mangalore airport lies at a distance of 333 km from the city. Torangallu and Guntakal are two closest railway stations to Bellary. The former is located 30.2 km and the latter is 46.7 km away from Bellary. Major cities like Hubli is located 209 km from Bellary. Bangalore and Mysore (Mysuru) are located 313 km away and 440 km away respectively. Bellary is well connected by road. Hubli is located at a distance of 212 km, while Bengaluru is 308 km away. Others, like Mangaluru is 433 km away. One can book cabs, or buses to reach Ballari.